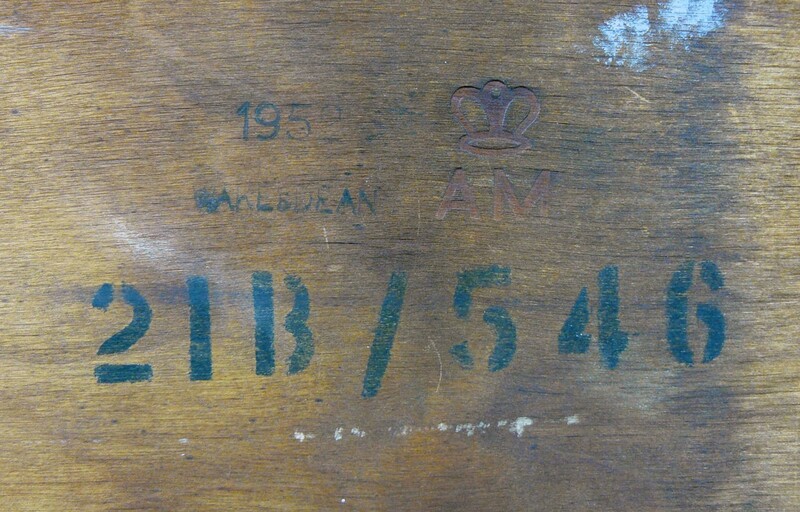 Marked with the Air Ministry AM logo and dated 1952 Wake and Dean. 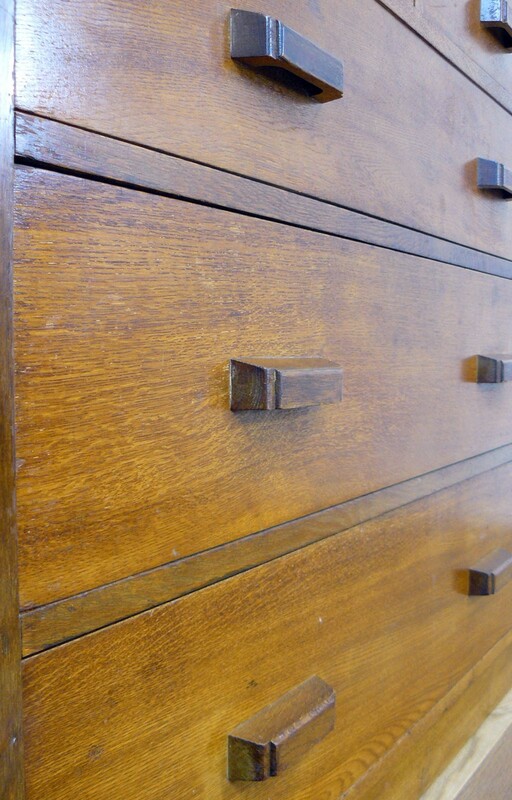 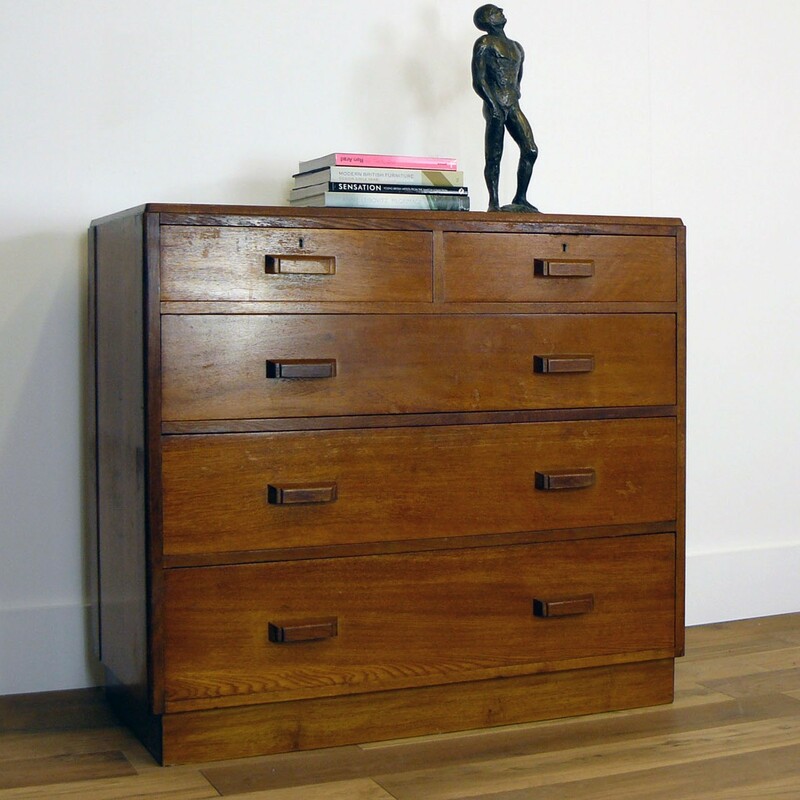 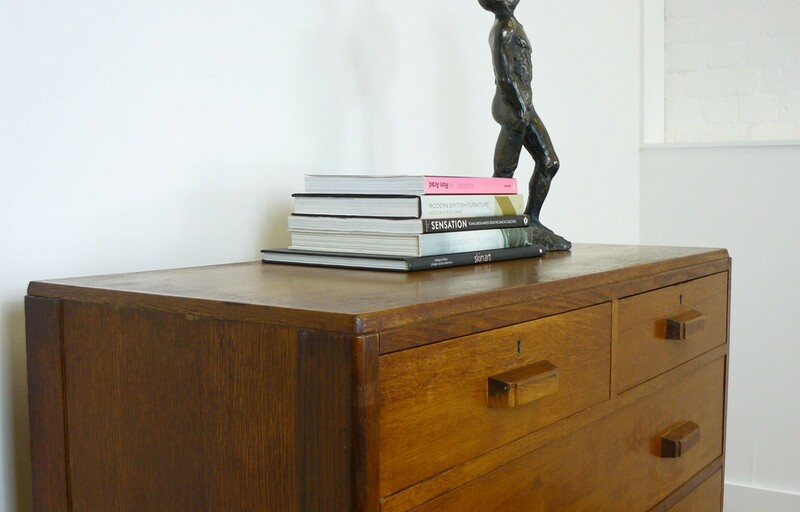 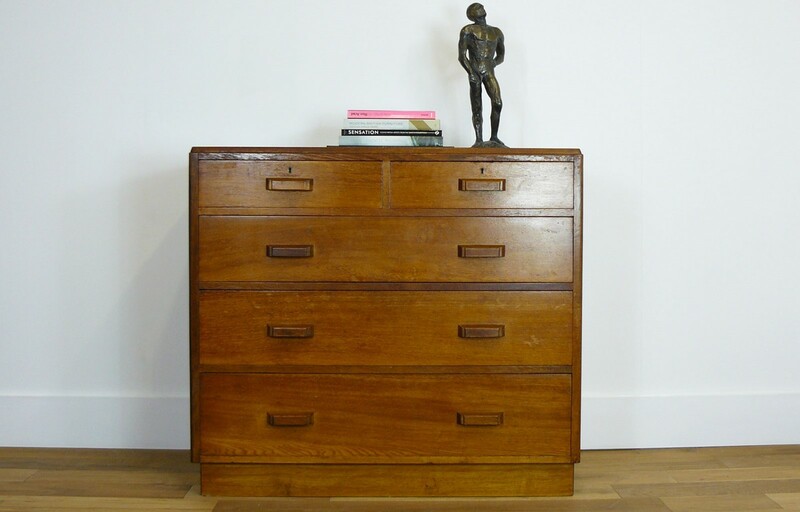 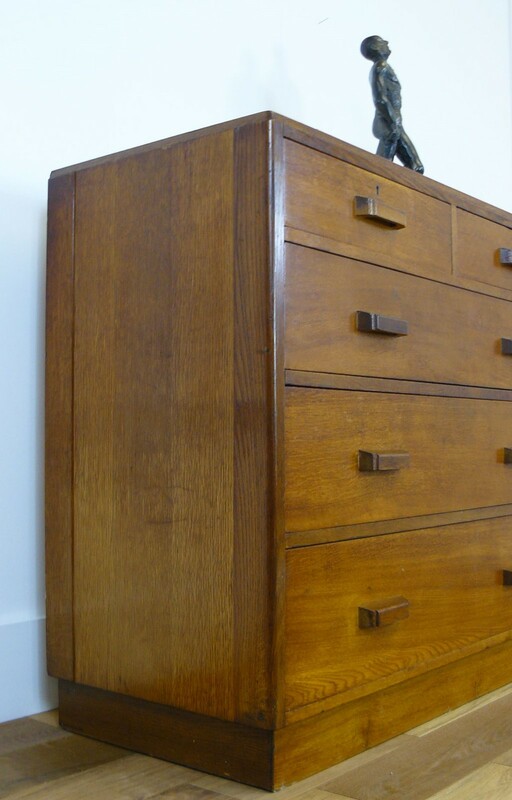 This oak chest of five drawers in presented in good vintage condition. 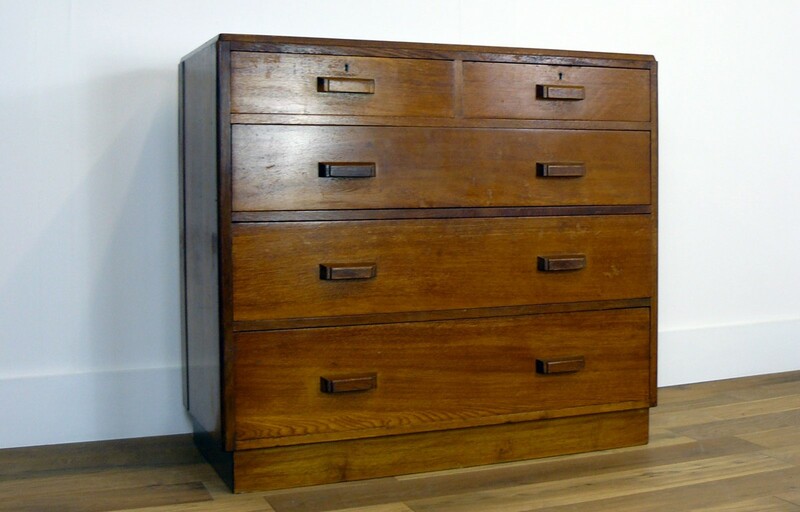 Pretty much original in condition with the simple combo of two deep top drawers with a set of three graduated drawers below all bearing the original wooden cupped handles. 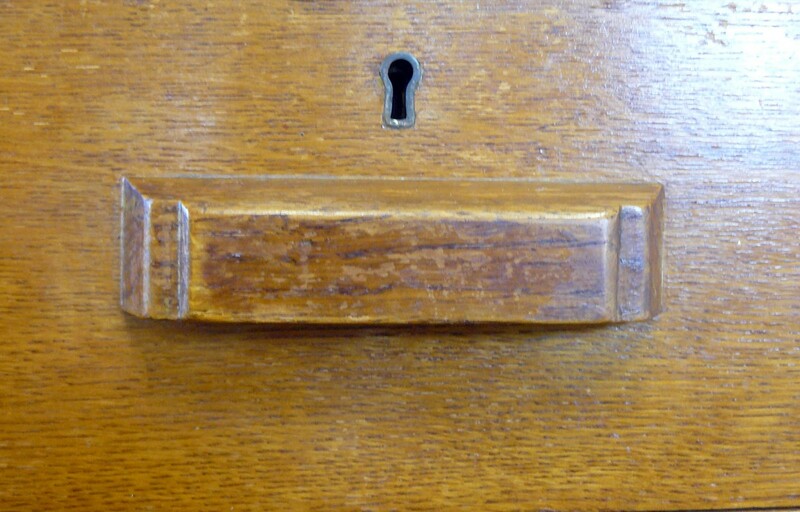 This one possesses historic knocks, marks and bumps but is not knackered or tired looking in any way. 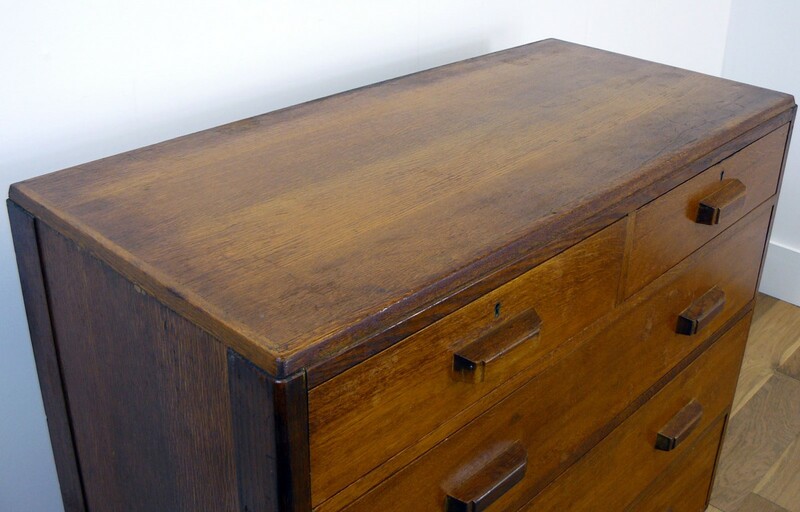 The chest is firm, no wobbles and weighty with no repairs. 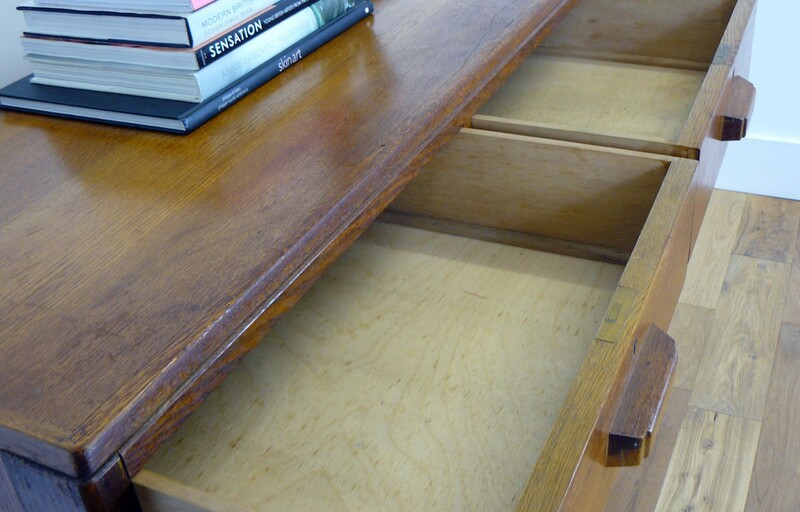 All the drawers are running smoothly and very clean inside. 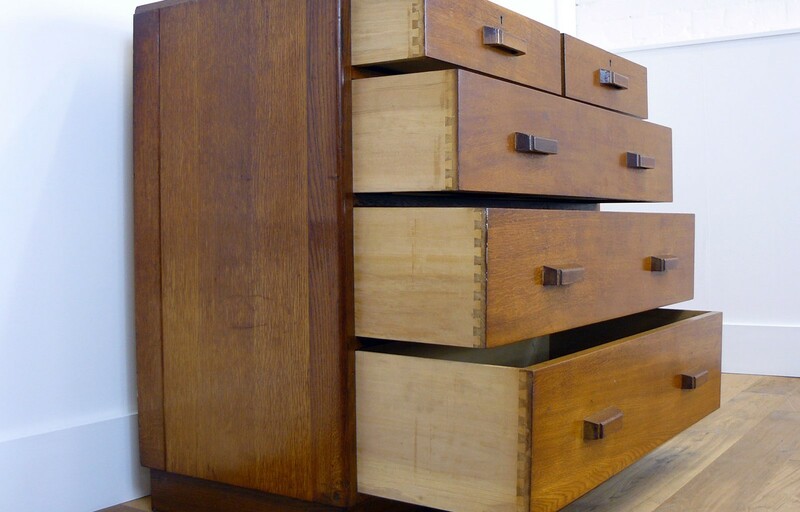 A great looking piece of British vintage furniture ready to place. 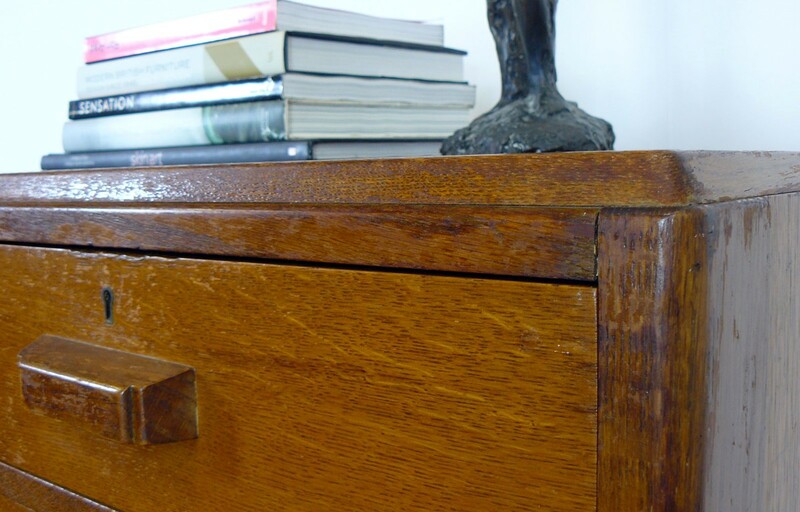 Bags of uses for these – bedroom, hallway, living room or kitchen.